Martha Berry thanks Mrs. Ladd for the gift she was given. 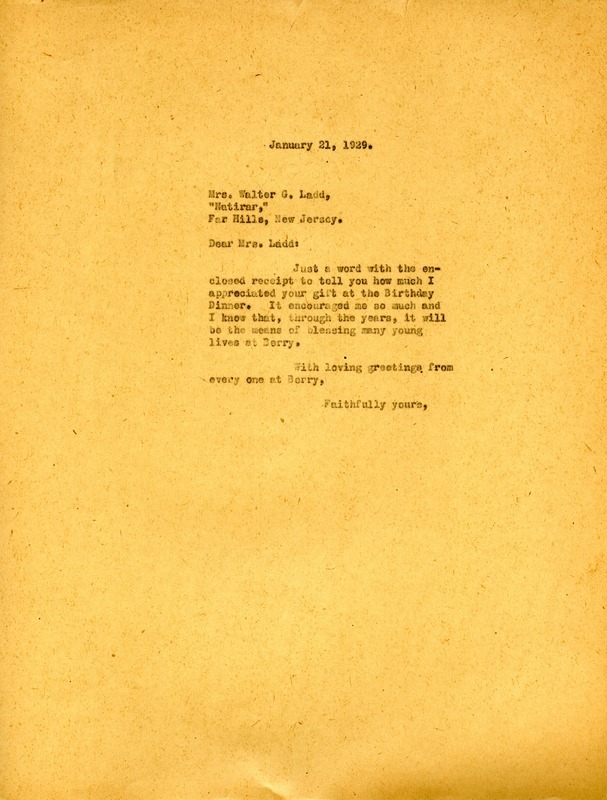 Martha Berry, “Letter from Martha Berry to Kate Macy Ladd.” Martha Berry Digital Archive. Eds. Schlitz, Stephanie A., Sherre Harrington, Meg Ratliff, Angela McCavera, et al. Mount Berry: Berry College, 2012. accessed April 25, 2019, https://mbda.berry.edu/items/show/10460.